You’re only one good prospect away from a $1,000,000 career! Sometimes we get discouraged. That’s human nature. But we also have the ability to cheer ourselves up. Here is one way to create a positive outlook when we feel discouraged. Just imagine that you continue promoting and talking about your business. At some point, you will cross paths with a prospect who is looking for an opportunity to change his life and you are the answer. Maybe you don’t know this prospect now. Maybe it will be some chance encounter sometime in the future. It doesn’t matter how you meet this prospect. It just matters that you were still enthusiastic about your business and impressed your prospect. What can one good prospect mean to you financially? The prospect could mean a million dollars over several years. And that’s a powerful incentive to be persistent in your business. 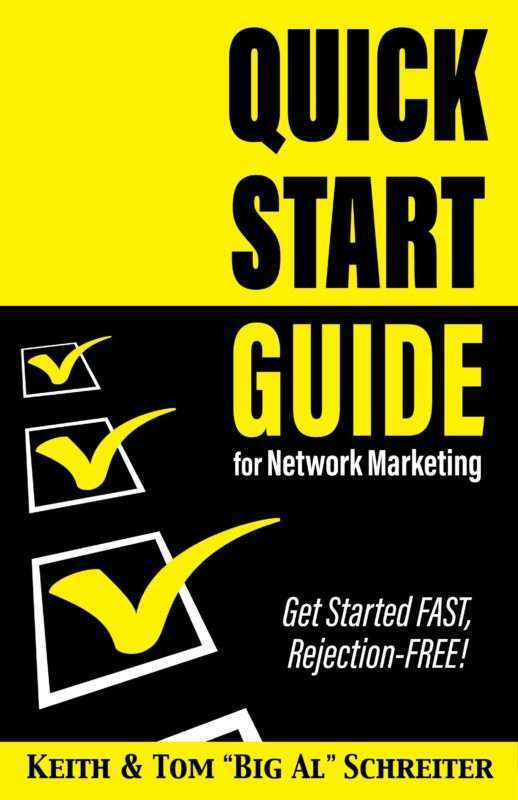 There are many networking leaders today that enjoy powerful incomes because of just one good prospect. Previous Post How to help your distributors overcome failure. Next Post The difference between a job and your own business. You put the fire under my but this morning! can’t even sit still! I just found out there’s two types of people in the world, hunters and prey, and I’m a hunter! I’m hunting negative complainers lol, I’m determined to PROVOKE negativity, HAH! I love ya Tom “Big Al” Schreiter! Thank you.